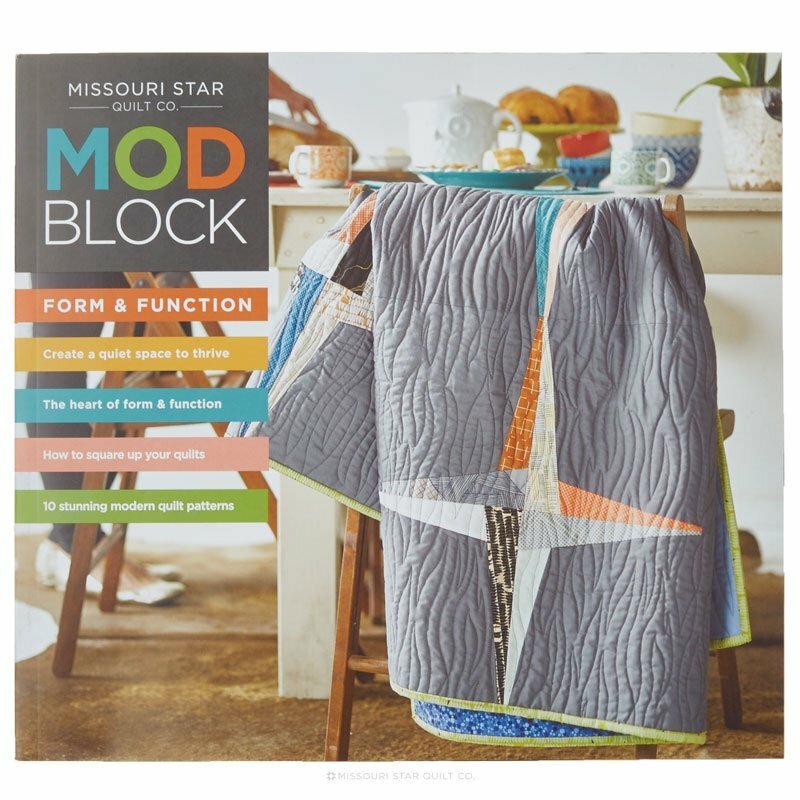 ModBlock is back and this time we’re exploring the form and function of quilts. Quilts are both beautiful and useful. They aren’t just made to hang on a wall, they’re made to wrap around our loved ones. In this issue, we aim to be inspired by quilts of the past and make new traditions too. There’s no wrong way to go about it. Play with pattern, simplify, or even embellish, it’s all up to you. In addition to form and function, we talk about using negative space, simplifying designs, and using traditional quilt blocks in new ways. Our goal is to help you see existing patterns with new eyes, or venture into uncharted territory and try something entirely different. With simple techniques, a whole new world of possibilities can open up for you! Thank you for joining us and we hope you love this issue of Modblock. Let’s go create something awesome together!